Welcome to the Sierra Nevadas: Sequoia and King's Canyon National Parks! Sequoia and King's Canyon - two very different landscapes connected as sister National Parks along the Sierra Nevada Mountain chain. 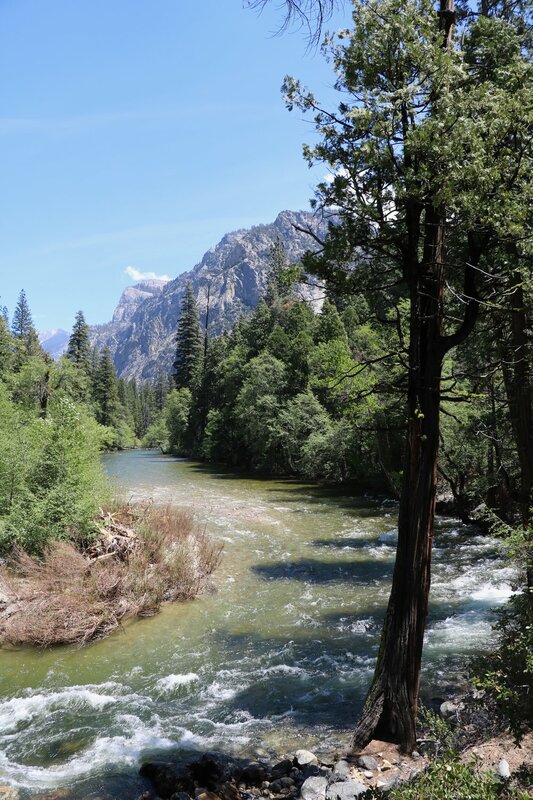 From the largest trees in the world (the General Sherman and Grant) to the winding mountain trail through the deeply carved river canyon to "Road's End" - Sequoia and King's Canyon offer a little bit of everything for the nature enthusiast! I left the Channel Islands and Ventura, CA behind for a long day's drive up along the Pacific Coast Highway exploring Cali's Central coast before heading East to Pick up a special delivery in Fresno before heading into the Sierra Nevada Mountains. My son Chris, hot of a plane from a semester abroad in Scotland, headed out to meet up with me for the last 10 days of this National Parks adventure. 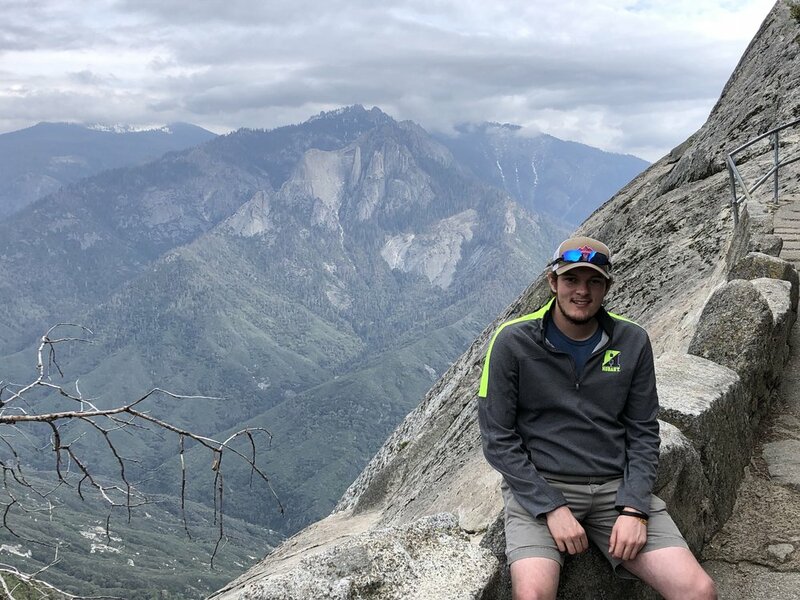 As a International Relations major/Environmental Studies and Anthropology double minor, Chris has a keen interest in the environment and protection of our public lands, monuments and parks. After 3 weeks on the road on my own, it was so great to have Chris to arrive as my adventuring sidekick and he was ready to jump in with both feet to explore and learn all about the culture of the National Parks and the importance of protecting them. With a co-pilot and partner in crime, we crossed through endless miles of orange groves and made our way up into the mountains to the small village of Three Rivers, CA which would be our base camp for the next few days of exploration. First stop the Giant Sequoia Groves of Sequoia National Park. It probably sounds a bit cliche, but photos just can't capture the immense size of these amazing ancient stands of Sequoia Trees. 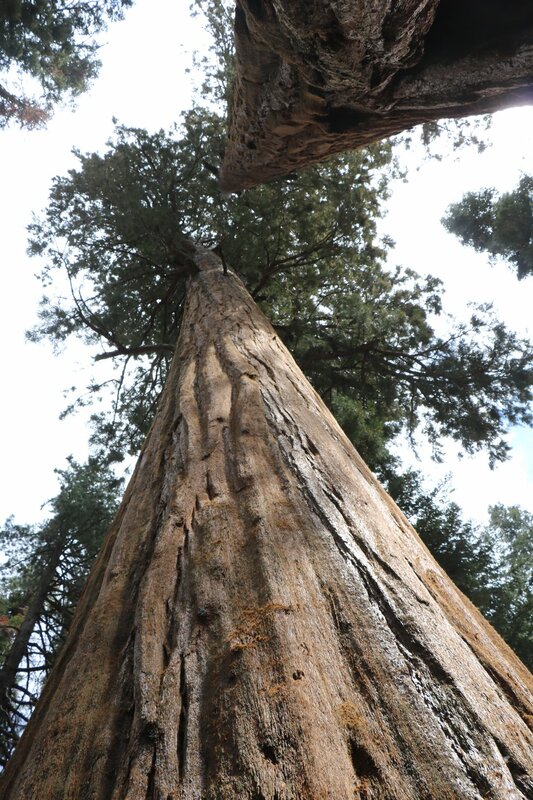 Though they are not the tallest nor the widest, The Giant Sequoias in this park are the largest trees by mass in the world and they are an amazing sight to see for sure. Some of which were over 3000 years old having survived, weather, fire, human devastation, and now the impacts of climate change. The General Sherman Tree, the largest of the bunch, along with the second largest - the Grant Tree (the official national Christmas Tree) are the crown jewels of the park. 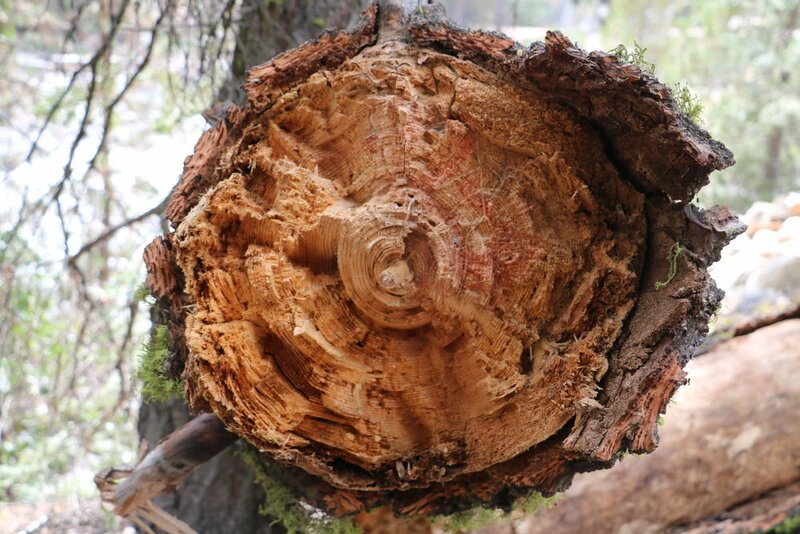 Aside from the preservation of some of the oldest trees on the planet, Sequoia is also home to a variety of plants, animals, micro-organisms, and the location of a chain of unique marble caves. 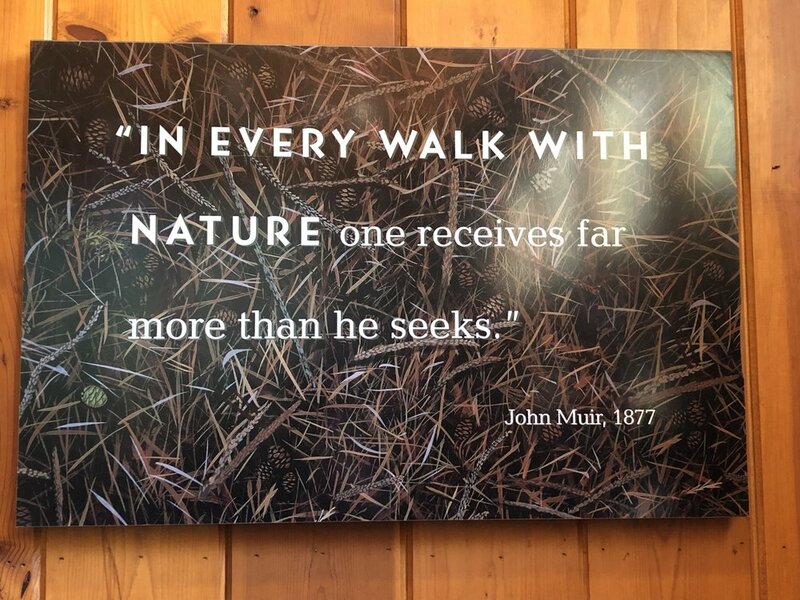 I learned how delicate an eco system the Sequoia area is and how endanger the plants and animals of the area are due to drought, smog/air pollution, and the effects of climate change. The giant Sequoias only grow in an ideal environment between 5,000-7,000 feet of elevation in the dense biosphere that surrounds them. The combination several years of drought in California impacting the trees and the other plants and animals that live in this zone along with the noticeable temperature increase attributed to climate change is endangering the sustainability of the Sequoia Grove as well as causing a change of supporting plants and migration of wildlife to higher ground to survive. Combine this with both a poaching issue and dire infrastructure problem as this park (the second oldest after Yellowstone) established in 1890 is working with aging facilities, narrow, steep, winding roads, and lack of man power to protect. Two days of trekking among the trees and gazing in awe of these multi-century old pillars leaves you with both a sense of reverence and regret for the logging practices of the last 200 years that clear cut away so many ancient growth forests across our continent. We also searched for the active but illusive Black Bear, and stumbled on many grazing mule deer, and a busy beaver (or maybe gold-bellied marmot?). A steep, steep climb up Moro Rock gave us an amazing panaramic view of the southern Sierra Nevada Mountain range including Mt. Whitney, the highest peak in the lower 48 and the end of the famous John Muir Trail. King's Canyon is a much newer addition to the National Park deck, it began as a protection site of a small grove of Sequoia trees in 1890 and was called General Grant National Park...it took another 50 years of work including much persuasion by John Muir for Franklin D. Roosevelt in 1940 to both rename and increase the park to what King's Canyon National Park is today. Everywhere we looked, NPS workers were hard at work repairing and re-establishing areas only newly uncovered from the winter snow. A deep water-carved canyon of the King's River with many scenic water falls, numerous hikes and climbs, and amazing vistas to take in. King's Canyon was an area near and dear to Muir's heart and he spent much time in this area in the early days of developing The Sierra Club. Taking groups of conservation minded young people out into the wilderness and giving rousing talks (often from a spot now known as Muir Rock at the Road's End). Many of his now well know quotes came from these days in King's Canyon. There was truly nothing more inspirational to this traveller, artist, and activist that our early morning drive along the King's Canyon Scenic Byway, feeling as though we practically had the entire wilderness all to ourselves. (the road was only recently opened to the public as a late snow had kept the road closed until now) Stopping and hiking around as we were enchanted with a turn in the road, watching raven, condors, falcons and golden eagles fly overhead, watching for a glimpse of a mule deer or black bear to show themselves from the dense forest...it was amazing. Chris having just come off a fall class at Hobart and William Smith about American Environmental History, was a great source of information and tidbits about the early days of the parks and the influential players as well. A worthy traveling companion, he was content to silently take it all in, wander down (or up!) any path we ran across, and dive into deeper conversations about the state of our environment. We eventually made our way to where their are no more roads at the aptly named "Road's End" where we sought out John Muir's puppet of sorts - Muir Rock. We sat, listened, soaked in the sun, and breathed in the fresh air coming off the fork of the King's River - it was transforming and motivating to keep carrying the torch of action, protection, and preservation of these precious places. Next stop: Yosemite!